A school for artists, architects and craftsman that combined fine arts and crafts with production for commercial and industrial purposes. The school had a programme based on the idea of creating a "total" work of art, where all the arts were integrated. Its style became one of the most influential currents in modern design, architectural education, graphic design, interior design and typography. 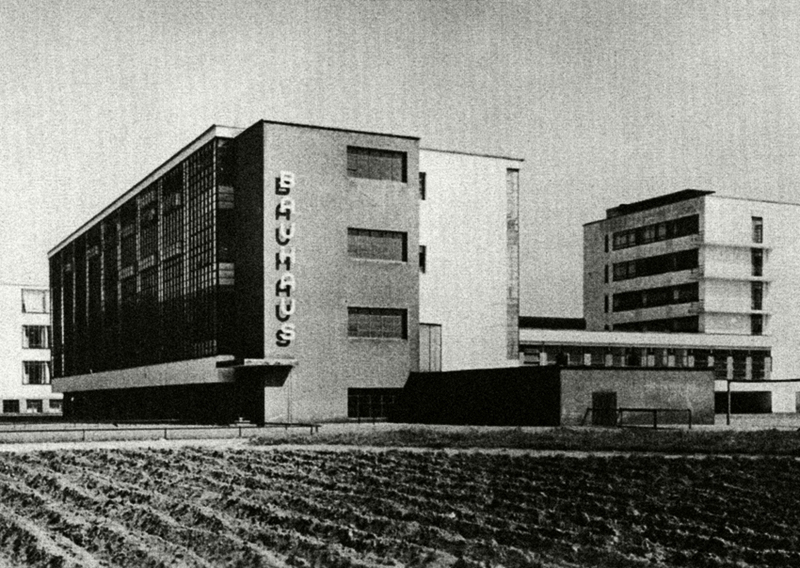 The Bauhaus was lead in its different locations - Weimar, Dessau and Berlin - by Walter Gropius, Hannes Meyer and Ludwig Mies van der Rohe respectively. Within its teachers were architects, painters, sculptors and designers. To undertake design that combined rationality, functionality and mass production systems breaking the barriers between craftsman and artist. The Bauhaus brought art and design closer to daily-life. 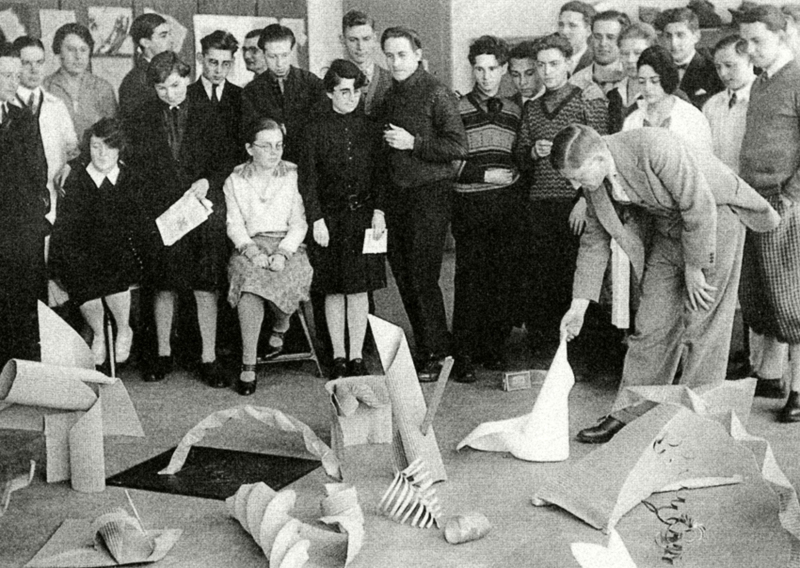 Walter Gropius, Hannes Meyer and Mies van der Rohe, teachers (Johanness itten, Lyonel Feininger, Gerhard Marcks, Oskar Schlemmer, Paul Klee, Wassily Kandinsky, Theo van Doesburg, El Lissitzky, László Moholy-Nagy, Lucia Moholy, Marianne Brandt, Herbert Bayer, Marcel Breuer...), students, industrial companies.